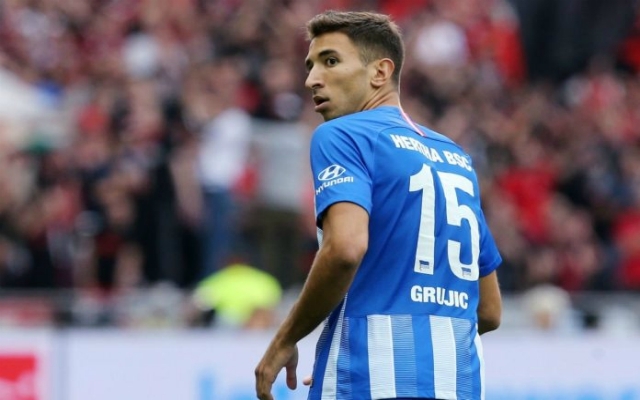 On-loan Liverpool midfielder, Marko Grujic, is cut from the same cloth as Bayern Munich great Stefan Effenberg, according to Hertha Berlin manager, Pal Dardai. The 22-year-old Serbian has clocked up 14 Bundesliga appearances for Hertha Berlin this season and his impact has clearly been noticed in Germany. Grujic has played the full 90′ in his last six league outings, with Hertha currently sitting comfortably in eighth place. Jürgen’s first-ever signing in 2016, Grujic is now definitely living up to his potential. The comparisons with Effenburg are a huge compliment; the German won three Bundesliga titles and the Champions League with Bayern, as well as scoring five times in 35 appearances for Die Mannschaft. “I’ve never had a midfielder like Marko Grujic before. For me, he’s the new Stefan Effenberg,” Dardai told BuliNews. A versatile and tireless midfield presence, Grujic looks to be aiming at a Liverpool return in the close season in a bid to fight for a starting berth in the first-team.